Ez-ISO is created as an add-in which automatically extracts pipes from the Autodesk® Revit® model into an Isometric Drawing. Ez-ISO is a user-friendly software, having a number of options for various purposes, not only the Plant Industry but also HVAC, Sanitary, and Fire Fighting as well. It can widely cover Revit software by providing detailed information of the Plan and Section Drawings with Isometric Drawing. Recently, Mechanical and Fire Fighting Pipes are pre-fabricated and constructed at the site. 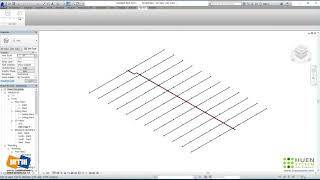 Ez-ISO provides functions such as Isometric Drawing from Revit Modeling and Spool Drawing for Pre-Fabrication. * To use a sample model, template, and manual, please go and click "FREE 30-DAY TRIAL" to download them on the link (http://www.huensystem.com/products/ez_iso/eziso.php). After verifying your email, you will be free to use them.